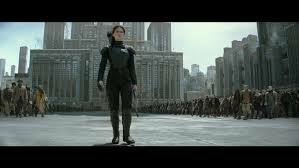 At the end of The Hunger Games: Mockingjay – Part 1, I was left with one burning question: was Alma Coin, leader of the revolution, trying to bring freedom to the land, or was she only seeking power? Well, I have now seen The Hunger Games: Mockingjay – Part 2 and I have my answer. And no, I’m not going to tell you because it leads to one of the most satisfying climactic scenes in movies for a while. 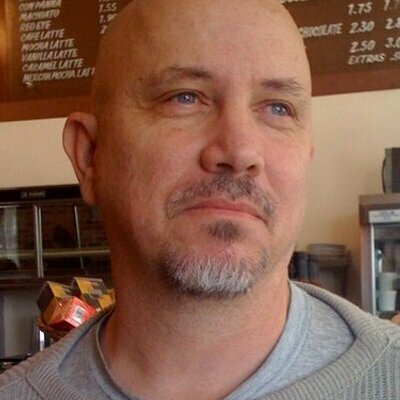 Of course, I should start off by saying that there is no way I will admit that The Hunger Games is great filmmaking. It certainly has a myriad of faults. At the same time, I have found this franchise to be more intellectually intriguing, even fascinating, than others like it. There has always been something about the stories that stayed with me, something buried (a bit too much, I believe, at times) at the core of it. For me, The Hunger Games has always been a complex study of how a revolution begins, builds and bursts forth upon the land combined with the crowd pleasing wrappings of a commercial aesthetic. It’s certainly no Lord of the Rings or Game of Thrones. Yet, I find it more rewarding than Harry Potter if for no other reason than half the time I never quite new where the story was going when it came to Hogwarts and environs (especially in the last entry which, in spite of being split into two films, I’m not convinced it ultimately made a lot of sense). I always felt that the previous Hunger Game films always made one essential error. The filmmakers constantly seemed to think that the most interesting aspect of the story was what took place within the games themselves, when, in reality, the most interesting aspects of the conflict was what was going on behind the scenes, the back room negotiations and manipulations that ultimately determined who won at the end, most of which I felt took place off screen. The games themselves were simply a bunch of people redundantly fighting and killing each other, and if you’ve seen one fight to the death, you’ve seen them all. But it’s the deals being made between the power brokers and among the audience watching the games that really drove the story. But this problem has in many ways been resolved here by breaking the final film into two parts. By doing this, the filmmakers (here screenwriters Peter Craig and Danny Strong from the novels by Suzanne Collins and director Francis Lawrence—Lawrence also directed the last entry) are able to give adequate and equal time to both the action sequences and the various power struggles and political machinations that detail the final steps by which a grass roots revolution succeeds. The other area where this entry, like all the other Hunger Games, stumbles are in the supporting characters and the actors playing them. Jennifer Lawrence is back, of course, as Katniss Everdeen, the hero of the common man and the face, as well as backbone and warrior, of the insurgency. The Hunger Games has always been a showcase for Lawrence. She’s always been the still point of the turning world here, as far as I’m concerned. But, par usual, the other participants are mere mortals, if that, to their goddess. These characters are flat and one dimensional, never having the breath of life to them. Even worse, they are played that way, too. (Romantically, Katniss is given the choice of two men; but both are so bland and lacking in personality, it’s hard not to hope she makes no decision whatsoever.). 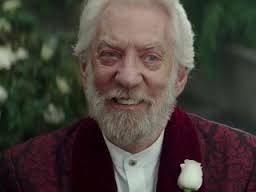 The one exception here is probably Donald Sutherland as the sneering and venal President Snow. 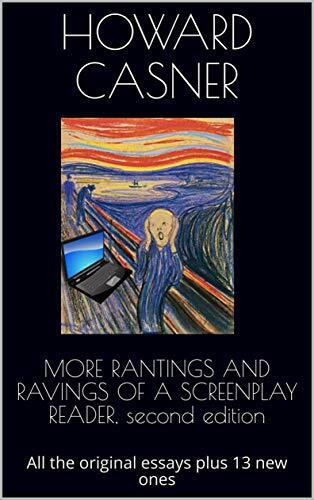 Sutherland, perhaps our most underrated and underrecognized thespians, seems to be having a simply marvelous time being relevant again and playing the sort of character he was rebelling against when he made movies like MASH as a callow youth. 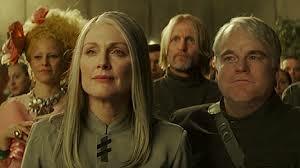 I also do have to say that Julianne Moore as Coin and Philip Seymour Hoffman as Plutarch Heavensbee hold their own. They both seem much more relaxed in their roles here than in the first part for some reason and Moore even looks much better in that unflattering hairstyle. The forward momentum rarely flags and it has a most unusual ending. It’s one of those rare movies that actually ends on an anti-climax…and works. And the filmmakers allow us time to experience Katniss at peace in the world as we watch her and her husband (I won’t say who) raise a family far from the madding crowd. It’s a lovely finale of scenes. And with the usual suspects in the supporting roles.